The community meeting for Kabundi Ward at Kasala Primary school was juicy and the turnout was excellent not until the moment of political school. This was after Nchanga Member of Parliament Chali Chilombo said he would use the Constituency Development Fund (CDF) for this quarter K380, 000 to drill boreholes in schools in his constituency. This is because most of the ablution blocks in Government schools have no water thereby posing a danger of an outbreak. He said the boreholes would also reduce the water bills which some schools have accumulated of up to K135, 000. 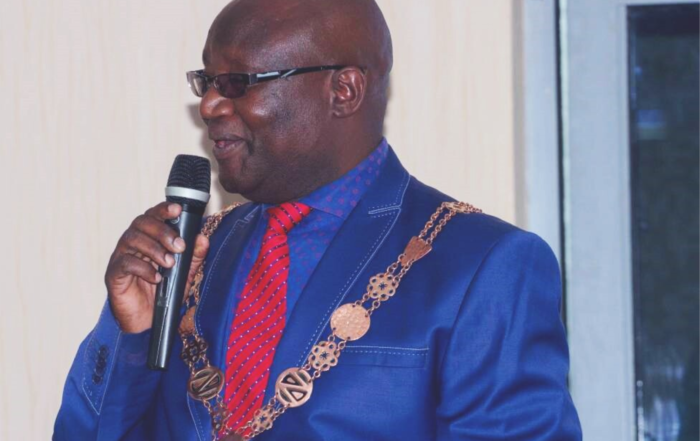 However, this angered Kabundi Ward PF Councillor Brian Banda who publicly said he doesn’t want the MP to use the CDF on boreholes but to build a modern market in his ward. He protested saying his ward also need development and schools are funded by Ministry of Education. The picture above shows the duo having another meeting outside the class after the community meeting where no tangible common understanding was arrived at.